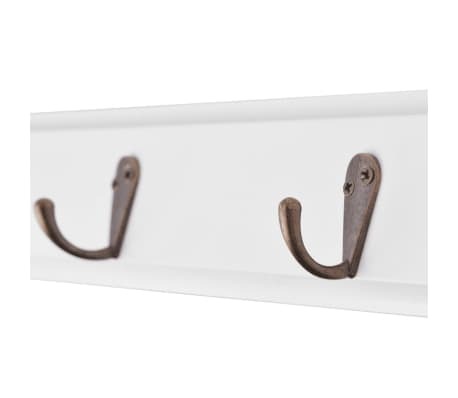 This coat rack in baroque style will become the focal point of any room. 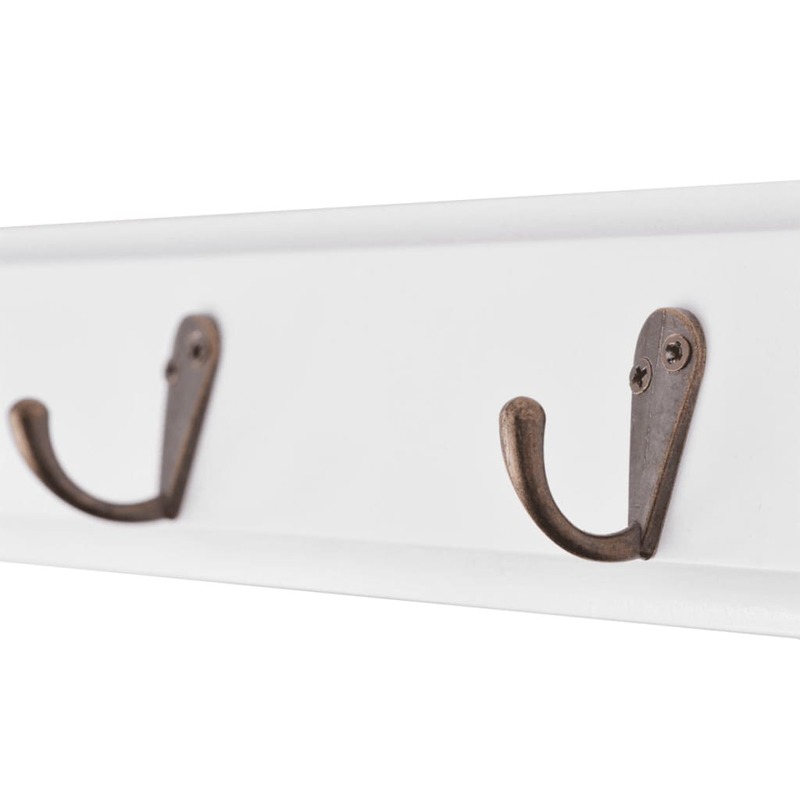 With an invisible mounting system, the wardrobe hanger can easily be mounted onto any wall. The coat rack has a shelf which serves as an ideal place to store items like trophies, books, collectables, ornaments, etc. 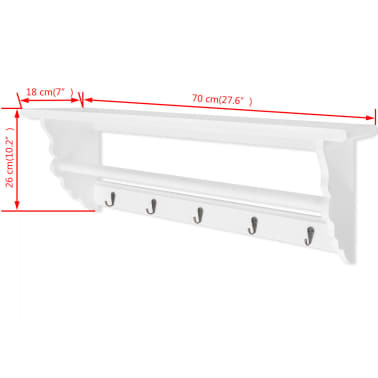 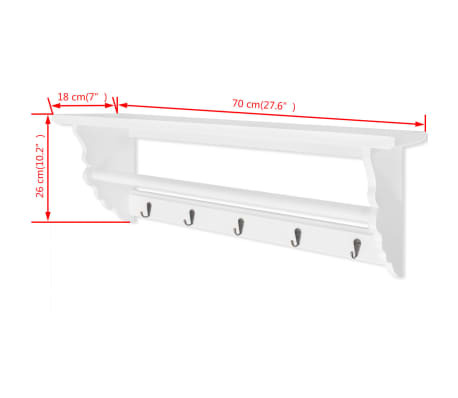 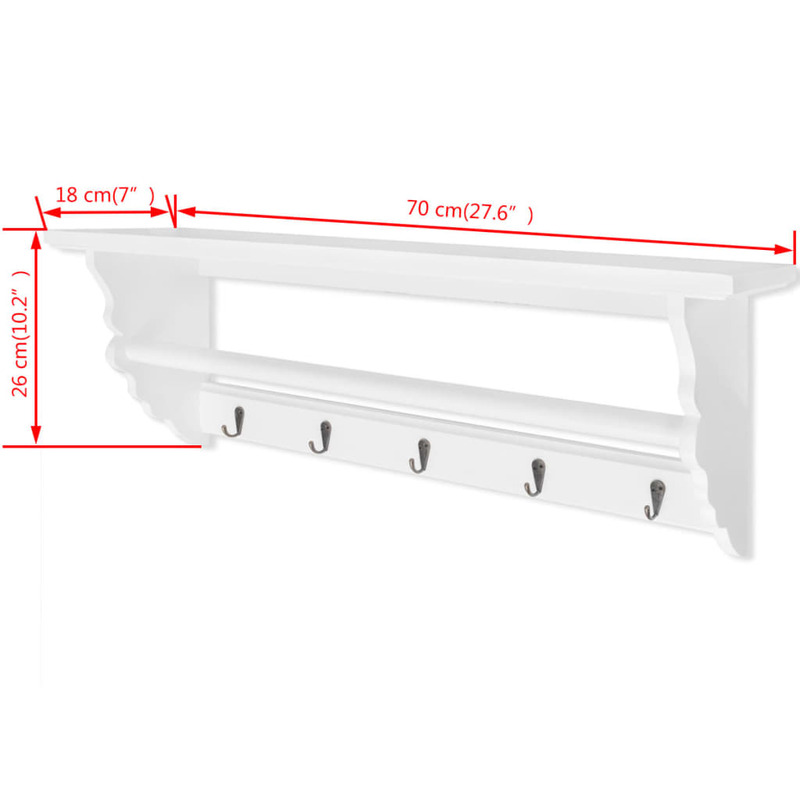 With the 5 hooks and 1 wooden cross bar, the wall shelf provides ample storage space for hanging your scarves, ties, coats, bags, caps, keys, etc. 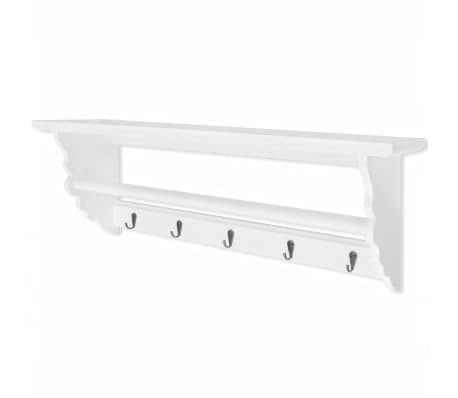 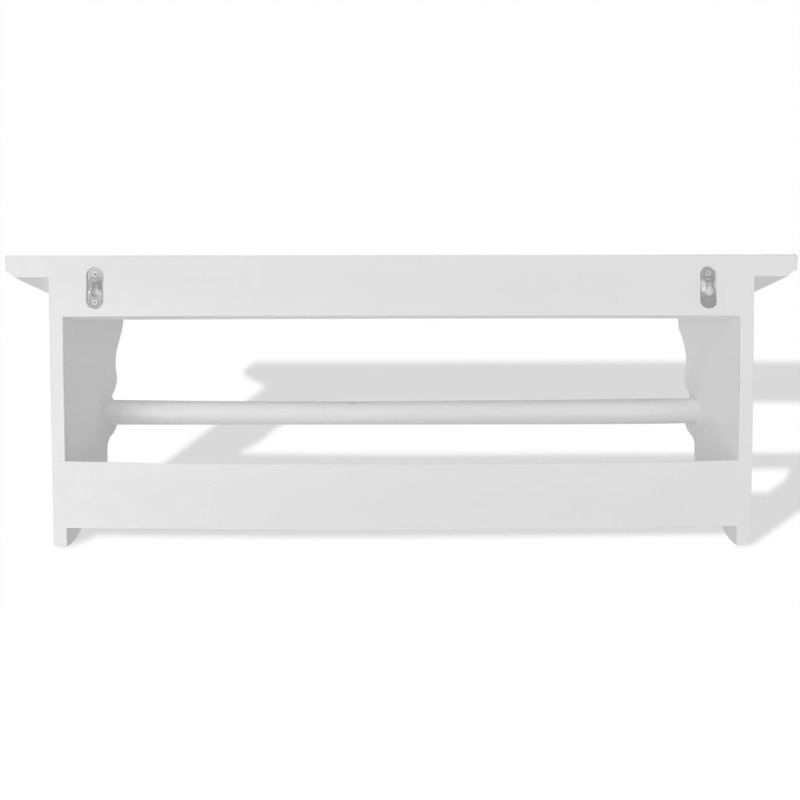 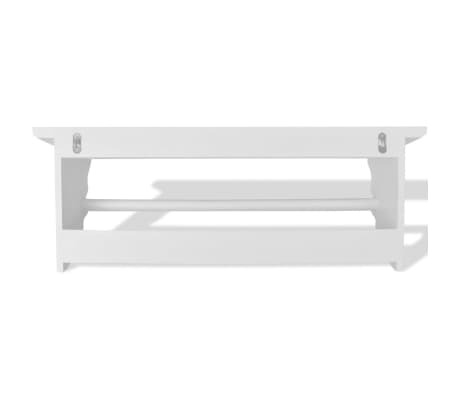 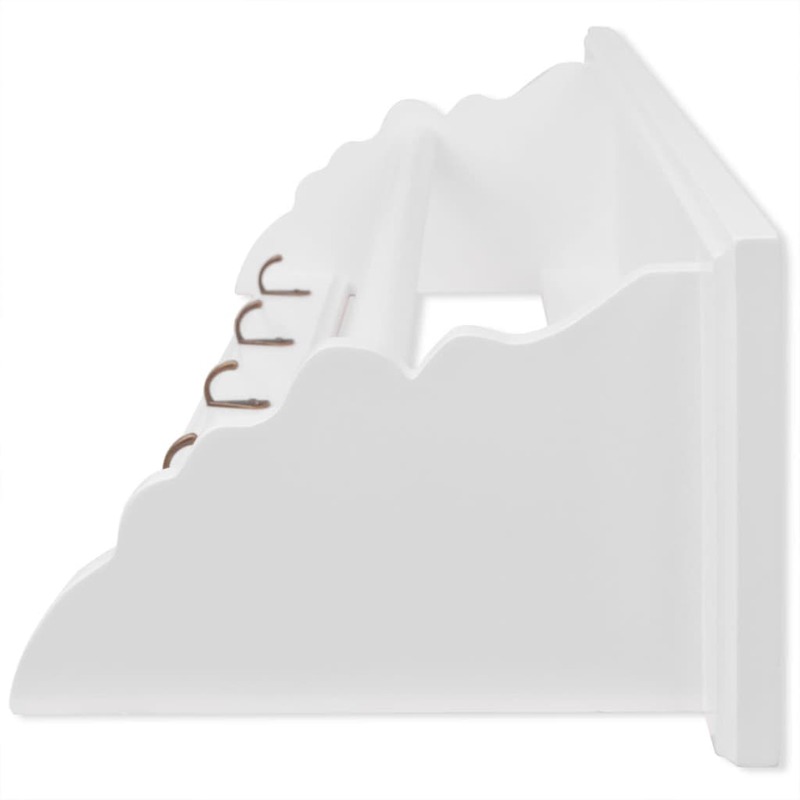 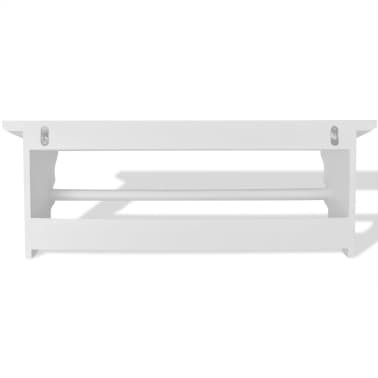 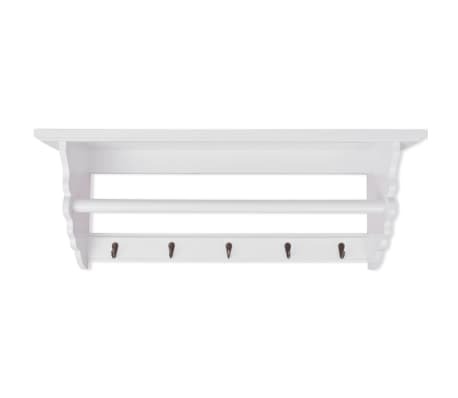 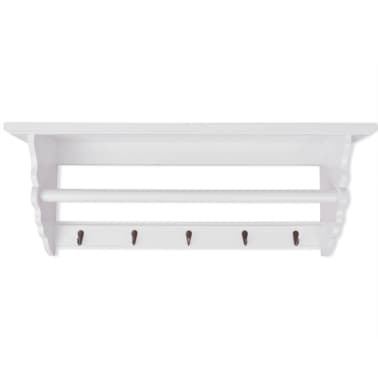 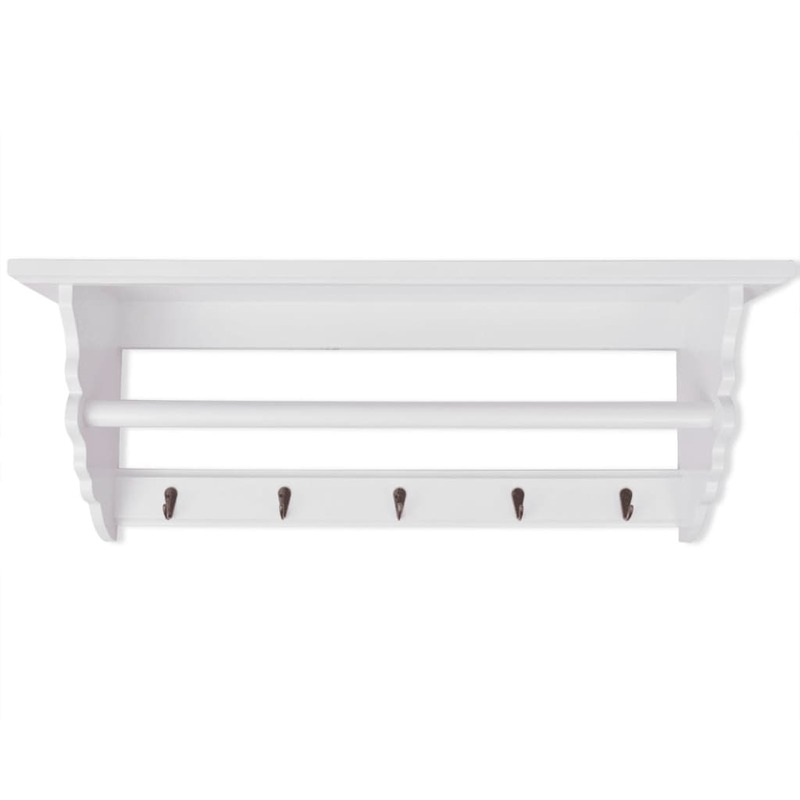 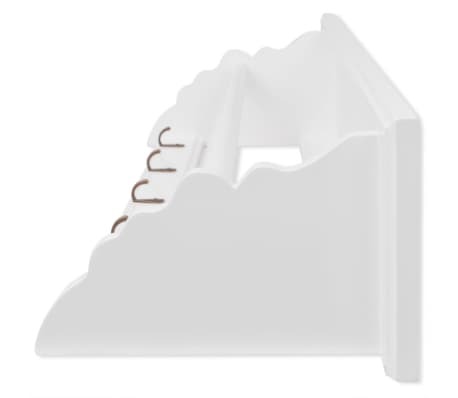 Made of high-quality MDF, the entryway shelf is durable. 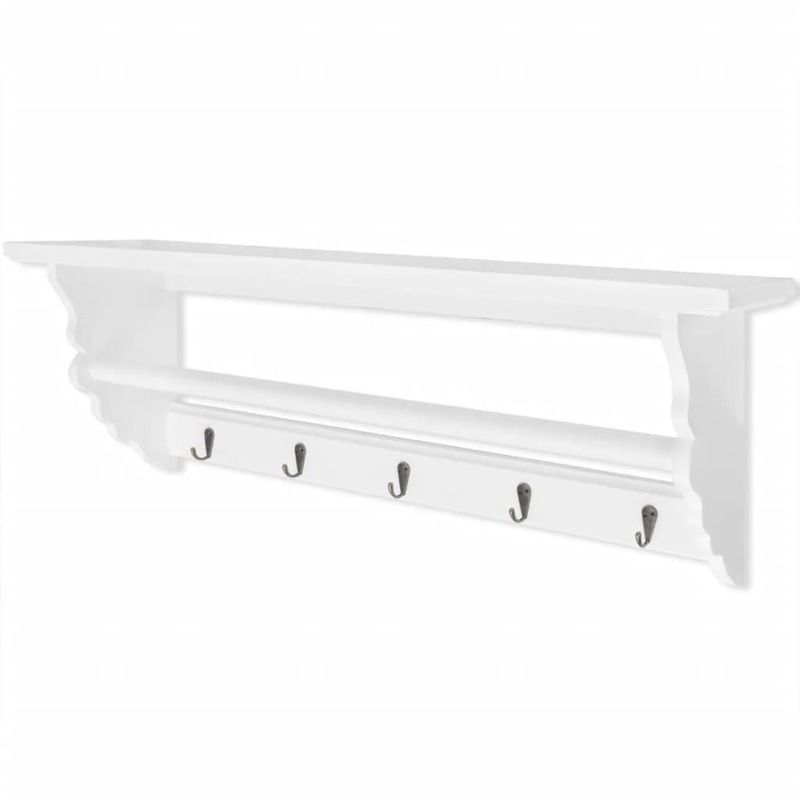 This hallway organizer in baroque style will suit any decor and turn an empty wall into a feature!